You could be excused if you weren’t quite sure where the Faroe Islands are. On most world maps, the tiny cluster of islands in the North Atlantic doesn’t even appear – or if it does, it is simply marked by a sprinkling of dots halfway between Scotland and Iceland. As such, the country has not always been known to tourists. But in recent years, this has begun to change. Travellers looking to experience somewhere new and unique have now started to discover the Faroe Islands. While most MICE destinations are becoming more and more alike, focusing on constant urbanisation and reconstruction, the Faroe Islands remain authentic and proud of their origins. By developing sustainably, the country plans to retain its traditional flair even as it becomes an increasingly popular destination for tourists and business travellers alike. Unconventional ideas often arise from unconventional environments. 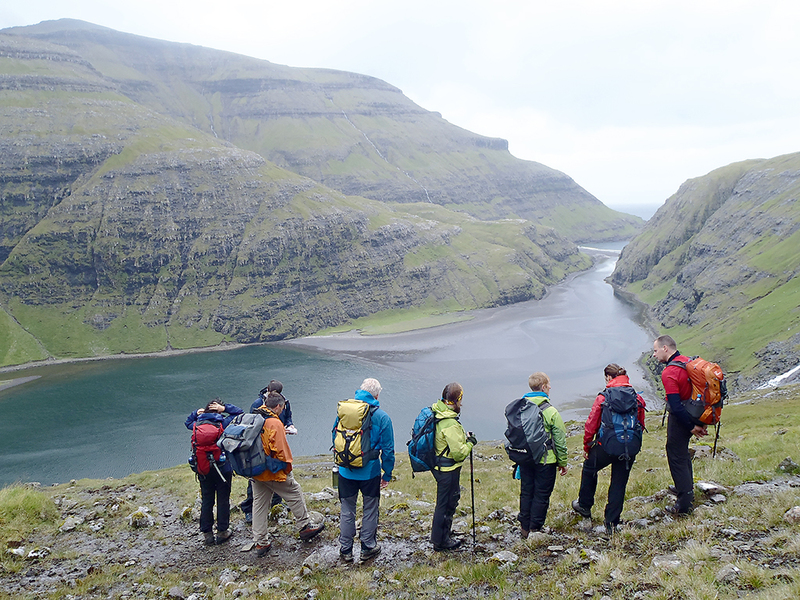 Hosting a meeting or conference on the Faroe Islands therefore provides a unique opportunity for businesses to produce some exceptional, innovative new ideas. The islands’ selection of outstanding congress venues can be found seamlessly interspersed throughout the stunning landscape, providing inspiration from tranquillity that cannot be found in many of the world’s loud, bustling business destinations. The islands offer their fair share of excitement outside of the boardroom. The natural backdrop of the country acts as a 60 million-year-old theme park, offering activities such as adventure tours through the unspoiled Faroese mountains and forests, cliff diving, horseback riding, mountain biking and even scuba diving in the crystal clear North Atlantic. 2015 in particular is set to be an exciting year, with a series of special events on offer – not the least of which being the total solar eclipse on March 20. The Faroe Islands will be one of only two locations on earth where the entirety of this natural phenomenon will be visible from land. During their stay, visitors are encouraged to experience as much of island life as possible, including some of the local produce – lamb, seafood and unique herbs are all available in abundance across the country, and can be sampled in its selection of outstanding restaurants. Given their remote location, the islands are surprisingly accessible. The country’s carrier airline, Atlantic Airways, offers direct flights to a variety of locations including Copenhagen and Reykjavík, meaning that the Faroe Islands can be reached in just two or three hours from mainland Europe. And while Tórshavn may be one of the world’s smallest capital cities, with a population of only 18,300, it still offers travellers the same conveniences and attractions as they would find anywhere else in the world – a thriving music scene, designer shops, four-star hotels and five-star conference facilities are on offer across the islands. Visitors will recognise some of the same brands from home being sold alongside the country’s own products – particularly those famously made from traditional Faroese knitting. While other destinations continue to become more and more alike, the Faroe Islands remain intent on staying different. Besides the tranquillity and beauty, the islands offer no predetermined routes or fences to stand behind. Visitors are encouraged to absorb as much of the natural world as possible during their stay – something that makes these developing islands a truly fascinating new destination on the MICE scene.